Drupal is a flexible and highly scalable web content management platform. 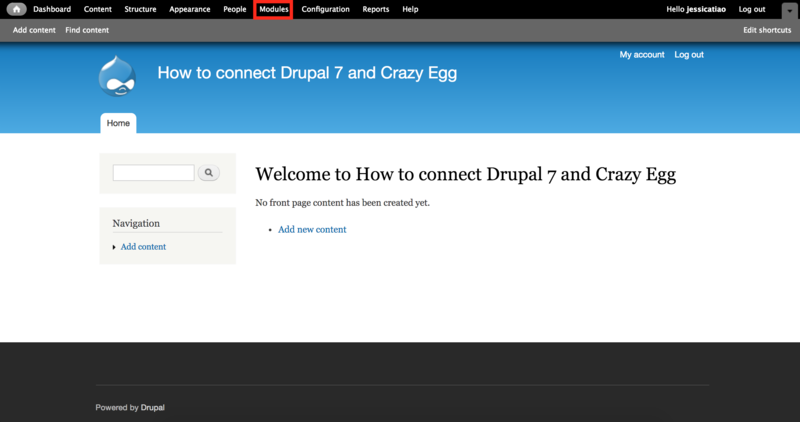 If you are using Drupal 8, click here to learn how to connect Drupal 8 and Crazy Egg. Note: If you are using a cache plugin on your site, you will need to clear it after you have installed your Crazy Egg module. 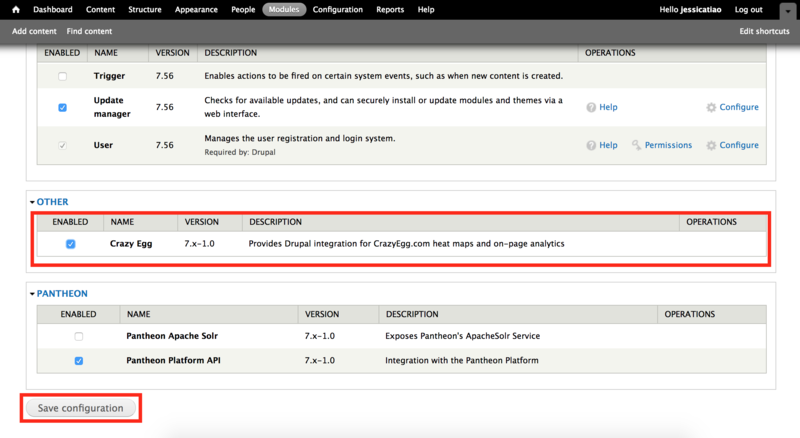 Go to your Drupal administration page. Click on Modules > + Install new module. Copy and paste this URL, https://ftp.drupal.org/files/projects/crazyegg-7.x-1.1.tar.gz into the Install from a URL text field. Click on Install. Click on Administration pages > Modules. Find Crazy Egg and make sure it is selected. Click on Save configuration. Click on Configuration > Crazy Egg. Copy and paste your Account Number into the Crazy Egg Account ID input field.